The Wall Street Bull Yarnbombed! Well, it was actually crocheted, but it looks as if this yarnbombing just missed the scary weather! Polish-born Agata Olek pulled off this feat in NYC, and I’m totally digging the hot pink-cammo thing that’s happening on the bull. Related posts: No related posts. 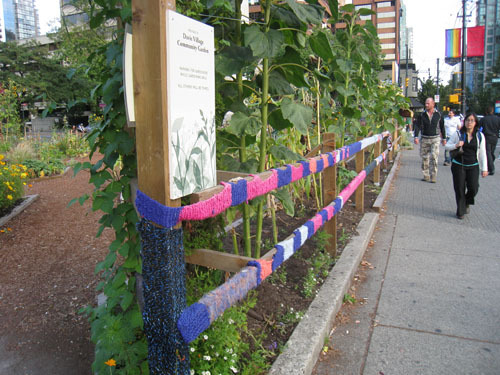 Yarn Bombing by the Knitting Ninjas!